On March 18th, 2013, the Hartman family dog Lucy left their house and got lost. 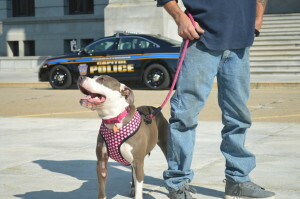 Thinking she was home, the dog began scratching at a neighbor’s door to get inside. When the neighbor called the police, officers arrived, killed her, and left her body on a hill near the road without notifying the family. 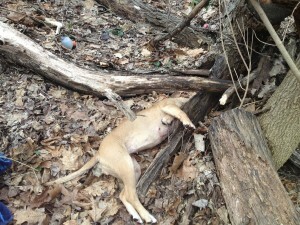 Ford Fischer and Trey Yingst of News2share visited Glen Rock Pennsylvania, where they visited the gravesite as well as where Lucy was shot. Bryan Hartman, who was working at a firearms factory at the time of the shooting, expressed his frustrations not only with the details of the shooting, but the traumatic aftermath. His wife, Shelly Hartman, was also deeply impacted, and miscarried her pregnancy three weeks after the shooting. 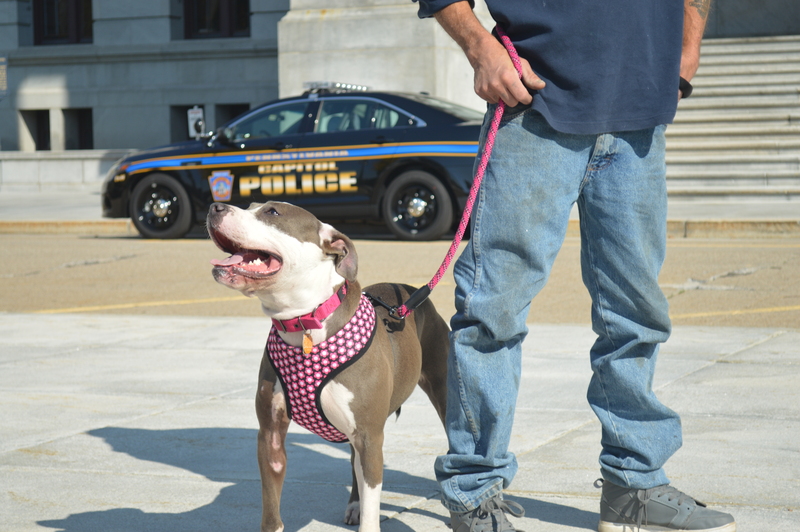 After visiting the gravesite, Fischer and Yingst traveled with the Hartmans to the Pennsylvania State House in Harrisburg, the site of one of 50 nationwide “Freeze: Don’t shoot” rallies to protest police violence against dogs. Bryan told the crowd his story of what police did to Lucy and the aftermath. Other protesters joined him in telling stories, mourning, and demanding change.